Day 1: Arrival in Marrakech, transfer to the hotel and a short equipment check, briefing in the evening. Day 2: Leave Marrakech in the early morning sunlight and head for Tizi N'Tichka, taking the highest road in Morocco, at 2260m. Through the beautiful Atlas landscape, down to Telouet, where we have a short hike over to the river Ounila. The warm up... Then on to Ait Ben Haddou, one of the most famous Ksars in Morocco. Camp is set up in a Skoura Palm Grove. Day 3: Break camp and into the Dades Valley with her palm groves to start with, giving way to orchards and market gardens. Then into the Dades Gorge, a canyon where we will make our way to the trail as it twists and turns up sides of the vertical faces. We hike for an hour before spending the night under canvas at M'Smrir, a Middle Atlas Village. Day 4: Through the Tizi N'Ougard Zegaoune pass at 2800m, and an hours hike downhill. Then on to the Todgha Gorge by road. A hike through the palm grove and then overnight accommodation in a Berber Village, 1,992m in the heart of the Jbel Saghro Massif. 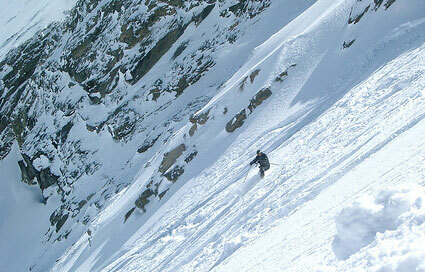 Day 5: Across the crest of Jbel Saghro via the Tizi N'Tazazert pass, at2,283m. Explore the rocky outcrops and strange tower formations of the petrified forest of Bab Ben Ali on foot. Down to the village of N'Kob and overnight accommodation under canvas in the Draa palm groves. 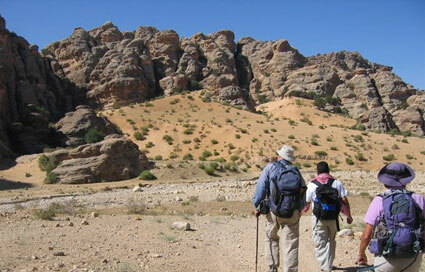 Day 6: We trek along the Draa valley, one hundred kilometers of oases, a succession of palm groves, gardens and Ksours. 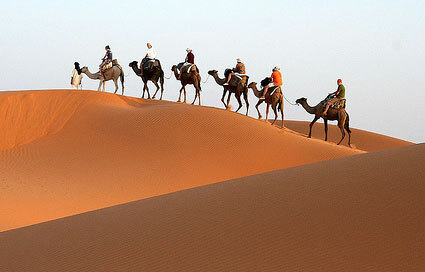 We arrive at Zagora, the door of the desert. There are palm groves at Amzarou and the first sand dunes. 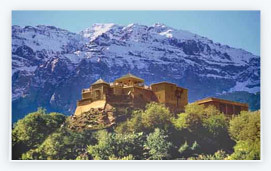 Day 7: Return to Marrakech via Ouarzazate and the Tizi N'Tichka pass, arriving towards the end of the afternoon. The night is spent in a hotel.